I bought Krusell’s SEaLAbox so I can use my dad’s iPhone to film and take photos in the water *w* Aaaahh I’m so exited! It’s a waterproof case for the iPhone 4(s) and anything similar/smaller. It’s supposed to handle being under water (down to 1 m.) for 30 minutes. You also get a plain black strap (woho, I won’t lose the phone in a current :D). So I will probably take some pretty cool pictures! My grandmother is here to watch our furry cuties tomorrow while we are away. We need to wake up school-early… 6 o’ clock because we have to be at the central station at 7.30. Worth it though! My dad told us that on 6th of July we can go to an amusement park called Skara Sommarland (Skara’s summer land) for less than third the price. He told us this after work… at two in the morning. And the due date was the same day (but in the afternoon)!!! I tried to contact people I thought would answer fast but the only one who answered in time was Miss Anon. But when we went to pick up the tickets… the 500 tickets were gone. The guy at the union office wrote down my parents phone number though and they called today to say that they had ordered 150 more tickets to the people that came by but didn’t get any. So we got 5 tickets to pick up next Wednesday/Thursday! We pay 100 SEK per person for both the bus ride and the ticket in instead of 320 SEK for just the ticket. I’m really looking forward to this! *w* The bus ride might be one of the worst things in a while (just imagine a bus stuffed with screaming kids and their parents telling them to shut up for one hour and 45 minutes) but hey, that’s what you have games and headphones for… that reminded me that I need to buy new (good quality) headphones! It will be so much fun but it’s three weeks left. >w<‘ Gaah!!! I know it’ll go fast but still. Spent the day with my cat princess! 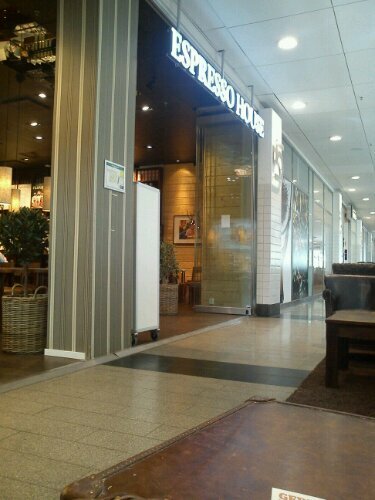 I met up with Milia after her car lesson and we had time to spare before our friends graduated so we ate breakfast at Espresso house. Festis “juice”, toasted bagel with chicken, salad, tomato, red onion and cream cheese (so good, I can’t even) and a freakin’ bowl of delicious hot chocolate with extra marshmallows. I’m suuuper tired now so I’ll chillax till tomorrow! See you then! Besides that ^, I bought the graduation party ticket and persuaded Robin to go too :D Sparkly gold wristband with Comic Sans font… lovely. :’D We (Robin, Marcus, Joel, Anna, Adam and me) also walked around town all day while Joel bought stuff. It was a lot of fun! It’s my graduation tomorrow and I have to wake up so early (4 in the morning… I’M A BAKER)! QwQ It’s fine though. I won’t be waking up early in a year or so hehe. I’m readying my hair right now but after that, off to bed! It’s already Saturday, wa-wa-waam~ Yesterday I didn’t have any lessons but I had made plans to see The Great Gatsby with Marcus, so I still had to go to the city. Then I took the fauna-hot bus for 40 minutes and I came in to Gothenburg at the same time Marcus did. We walked past really cozy houses in Haga. After we were done at The English Shop, Marcus and I decided to eat at Burger King because we hadn’t eaten since breakfast. Friday’s “King of the day” is Chicken Royale… mmm. We were on the premiere of The Great Gatsby so there were a quiz to win stuff before the movie started. I only knew the first question and people were so fast haha! The movie was great! I whimpered through the last 30 minutes. Words to discribe this movie: Surreal, Fäncy, Party Hard, Unfair, Pretty People, Unexpected Music (I kinda like it), Feels, ASSHOLES EVERYWHERE. Rainy day tried to deceive us with sun in the morning. I still grabbed the ladybug umbrella on my way out. The last 42+ hours in pictures. On the last lesson we watched the end of Midnight in Paris (we saw the first part on the lesson before) and “fikade”! Marcus… so pretty with my glasses and his hair parted in the middle! Evidence that Inuyasha can be super cute. Taken while I was waiting for my mother to buy milk. :’3 He can be cute when he wants to, haha. On my way to a livenight at a music high school, the bridge had some difficulties closing… so people (including me) started walking instead! Me and Marcus saw a lot of cool bands. Experimetal’s guitarists were, so, cool (and super talented)! One of them looks like Jason Segel and the other one looked like a combination of two of my male friends (Marcus and I were amazed)! Strangely enough… the guitarists I’m talking about are the only ones not present on the picture above .__. Picture above: Merielle dropped her palette and when she made the first wipe, I thought it was so pretty that I had to take a picture. ART ON THE FLOOOR! Tomorrow is “Kristi himmelsfärds”-day so no school tomorrow or on Friday… WOHO! Having a nice monday? Mine’s been pretty fab! English was fine, a bit awkward since we were supposed to sit in random groups discussing grammar assignments and we just sat there looking at each other, haha. No one wanted to talk, I’m blaming it on the early morning! Religion-class was also fine, we talked about Buddhism and we have to write a paper till next week! 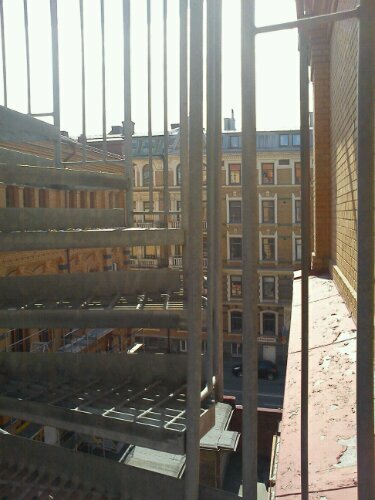 After lunch we sat on the fire escape on the third floor, eating Marabou Premium Marzipan. Robin dropped the iPad pen and walked down the normal stairs to get it but Marcus took the fire escape and picked it up. It was supposed to be a prank but Robin saw him before walking all the way down… dang! When I came home, my brother had picked up the mail and the second package from Electroworld had arrived! They’ve spoiled me with the artwork in Super Mario 3D land & NSMB2! I was slightly disappointed that there weren’t anything on the inside… but it’s okay, it’s just a fun touch! MOTD and first ever OOTD on Sunday-Funday! Leggins: Cubus (bought a long time ago), I made the cuts myself though. See you tomorrow and enjoy the rest of your Sunday! A day in Gothenburg – Trädgårdsföreningen. We waited an hour more just to see if she wasn’t on the next train (we ate 50% cheaper ice cream from Pressbyrån and walked to a store to pass time) but she wasn’t so we decided to eat pizza because we were starving. Pictures taken from the bus on the way to the pizza place! When we were done we decided to head to Slottsskogen (translation: the castle’s forest). But when we arrived at the central station we walked to Trädgårdsföreningen (translation: the garden association) instead (it’s closer and enjoyable). It’s a pretty park with a playground, flowers and a tree you can climb. Both me and Miss Anon were there when we were children so it was a trip to memory lane! Everything is so much smaller, haha. The first pictures are from The palm house (a big glasshouse)! Last Thursday we did our culture activity: We Climbed St. Arthur’s seat. Wa-wa-waaam! It looked crazy-big when you saw it from there .___. At the foot of the mountain. Dat peak… Ö^Ö St. Anthony’s chapel. On our way up! So beautiful :D Linnea took the picture and everyone else is in it! Martin to the left, Jacob being the fastest one and Emma is behind me with her plaited jacket~ At the top! It was cold and windy- opposite the weather on the way up *_* The lake we walked passed when we finally reached concrete! We saw a stork here too. This is the opposite from where we started walking :’3 At St Margaret’s Loch. The swan’s followed us <3 I’ve never seen so many birds in my life! Even baby-swan’s! °_° And crazy-looking duck-thingies. On our way back to the hostel! We bought yummy stuff on the awesome little store to the right of the hostel. After eight in it’s evolved form *mind blown*. We played dares with the starburst’s again! >w< Mr. lucky god toe! And there we were! “Real Hogwarts” again ;3 Faancy. The view was so pretty at night (not that it wasn’t in the day, it’s just a different feel over the city)! I promise, I had those black circles under my eye….. >w<‘ Silly Emma :D The prettiest picture of J.K. Rowling’s handprints. She has shorter fingers than me but a larger thumb… Back at the headquarter’s… melon and pineapple time! End of day 4 in Edinburgh. Missed the posts for day one, two and three? Check them out here, here and here!